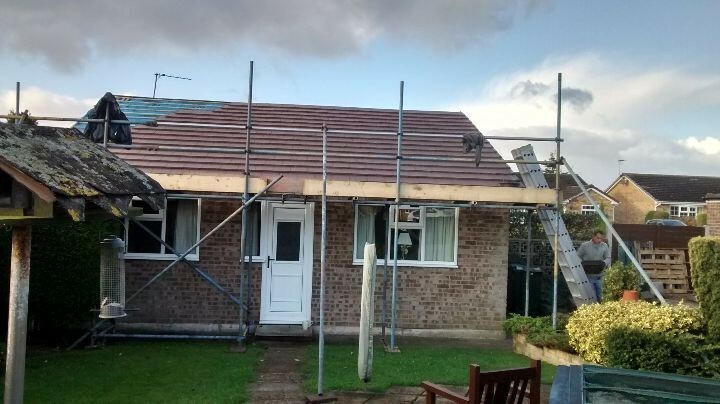 1st Active roofing carried out a complete re-roof of this bungalow in Bramley, Rotherham, which was leaking in many places due to old and damaged felt. We removed all the existing roof covering down to the roof rafters and the old, front chimney stack. Then we re-felted all areas using a breathable felt, supported on 50 x 25 timber laths, and recovered the roof in Marley modern tiles. 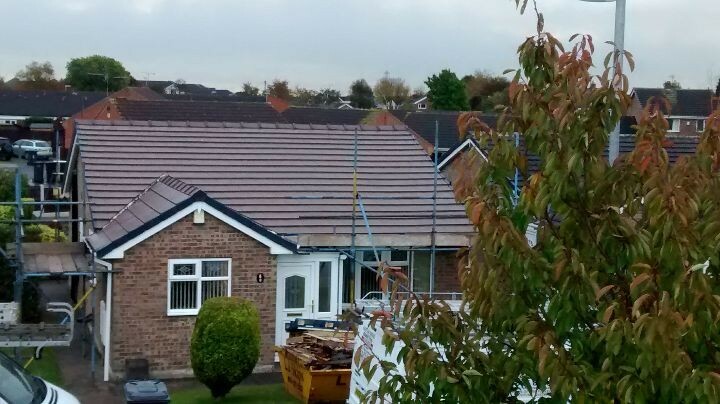 Finally, we added a low-maintenance, dry verge and ridge system, to complete the new roof.